Yesterday I finished making a quilted, patchwork peg tidy. I’m really happy with it as I made it using scraps I had left over from another project. I photographed the process in order to make a free pattern and tutorial for others who would like to try it. What makes my peg tidy different? 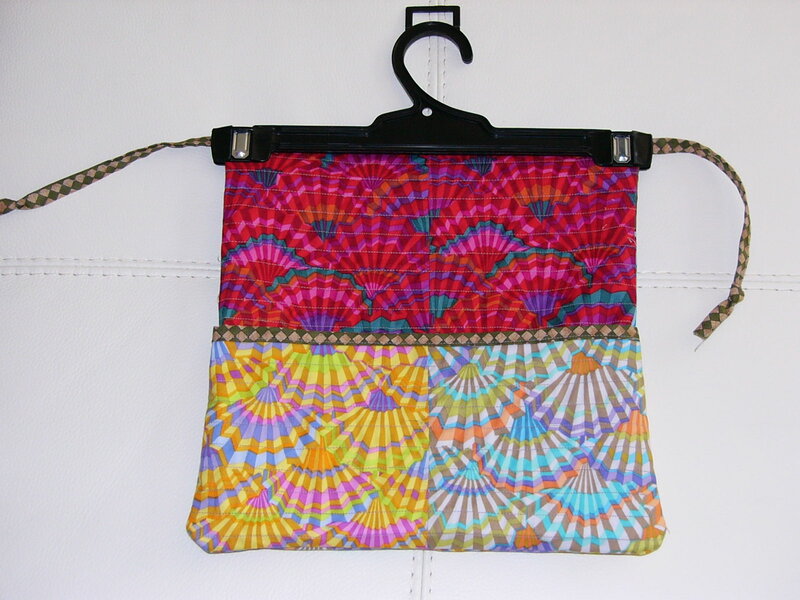 Most peg bags or tidies are made using an ordinary coat hanger. I used a skirt/trouser hanger and I put pockets on both sides so no matter where you hang it on the washing line you’ll have easy access to the pegs. Here’s a couple of pics of the final tidy and tomorrow – she said hopefully – I’ll start the first lesson of the tutorial. 2 pieces of cotton fabric 12.5″ x 18.5″ (I used a slightly heavier than normal cotton twill fabric ) – note this fabric won’t be seen except inside the pockets. 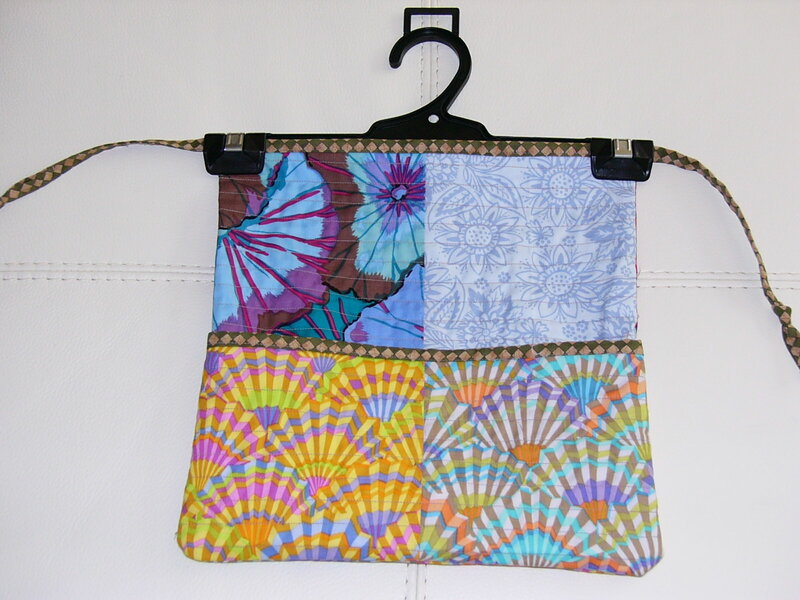 some patchwork fabric scraps that you can sew together to make four pieces 6.5″ x 12.5″. around 56″ of 2.5″ wide strips. I used leftover binding strips. You don’t need it in one length. The lengths you need will be 2 pieces around 13″ long and one piece about 30″ long. i really miss clothes lines. we are not aloud to hang cothes outside where i live. You are currently reading Sew a little, write a little… at Sewjournal.